Regardless of the number of employees on staff, many manufacturing plant managers rely on third-party specialists to augment their workforce during a facility turnaround. Partnering with professional service providers and specialists expands the pool of skilled technicians to give plant managers the support they need at just the right time to achieve a faster return to full operations. As we pointed out in our post Addressing the Talent Shortage in Industrial Maintenance, forming partnerships with service providers has proven to be a reliable strategy used by many manufacturing firms to address their maintenance needs. According to Plant Engineering’s 2016 Maintenance Report, the average facility outsourced 22% of their maintenance needs in 2016, which was a 15% increase over the prior year. Assessing your staffing requirements early in the planning stages allows you to arrange for additional support well before your downtime’s start date, eliminating unnecessary risks for costly overruns beyond the projected end date. Before you can ascertain what types of support you’ll need for a successful downturn, you must first have a clear vision of your current assets and be able to see how they fit on the path forward to the goals you want to achieve. 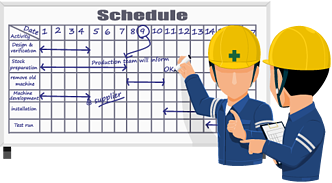 Schedule of Work to be Completed - Create a schedule that includes the duration of each job and the planned start and end dates for each project. A Gantt charts is a valuable project management tool you can use to display the tasks involved, the timing of each, where they overlap, and the sequence in which workis to be performed. You may also want to create customized checklists for each phase of the downtime process and set metrics to track your progress. Personnel Required - Create a thorough list of the necessary personnel for each stage of the shutdown. You may need to add myriad technical staff, vendors, contractors, engineers, and specialists to solidify your workforce. 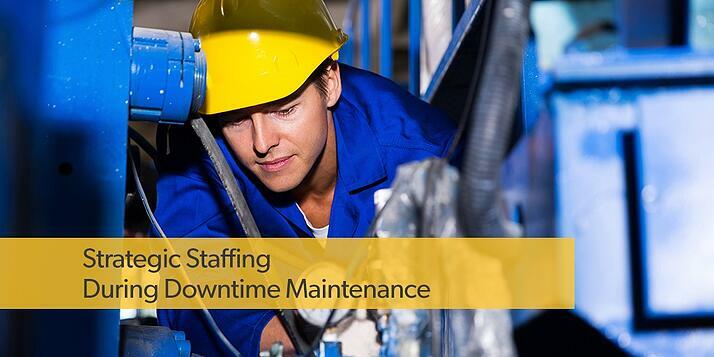 The number of people on site during downtime maintenance can often increase by up to 300 percent. Organizing and tracking this surplus of people is crucial to safety and success. Defining the roles and responsibilities of the people involved at every stage of your upcoming downtime allows you to more accurately determine the skills and experience required. Knowing what you need and comparing it to the capabilities and skills your current employees possess is how you’ll pinpoint the specific areas where additional support from contractors or service providers will help you excel. Clarifying the functions and responsibilities of each job role during your plant’s turnaround is also an essential part of establishing functional teams and avoiding overlap of job duties. 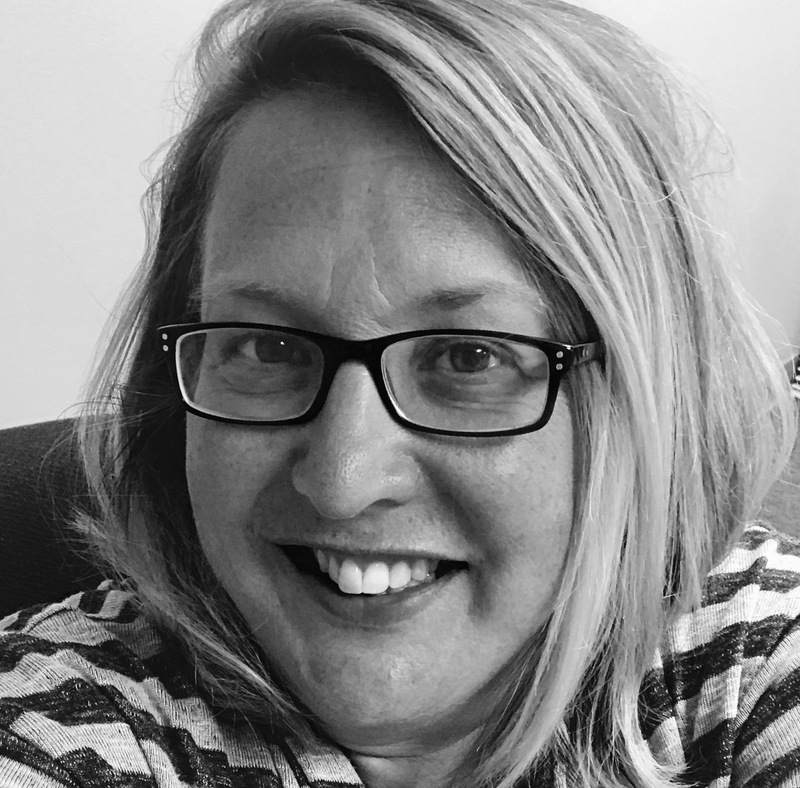 Making sure job roles are understood avoids confusion about responsibilities and streamlines work and approval processes. Timing is an important factor that can get overlooked when partnering with service providers. With so many people and tasks to manage, it can be tempting to put off contacting outside specialists. You know they’ve got you covered when the time comes, so you hold off and deal with the million more pressing matters at hand. But establishing which areas of your plant’s downturn will benefit from additional support early in the planning stage and getting your service partners involved as soon as possible can save you time and expense later. Professionals who are experts in their field can provide valuable input to help you determine what work needs to be completed and how your team might best go about it. Expert advice helps reduce the risk of costly oversights or inconvenient modifications to your shutdown plan. LubriSource is a trusted partner during maintenance downturns. LubriSource has been many manufacturers’ trusted partner in lubrication excellence for over 20 years. Contact us while you are planning the tasks involved in your turnaround, and let our professionals help you determine the most efficient lubrication strategies for your downtime maintenance.